The last few months have been rich in opulent and stylish celebrity weddings. One of the most talked about events was the beautiful marriage ceremony that made Yomi Casual and Grace Onuoha husband and wife. 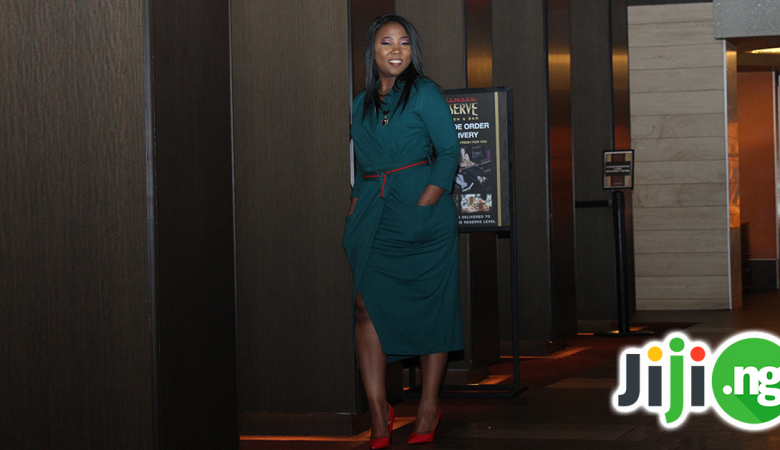 See the best moments from the Yomi Casual wedding right now! Before every wedding there is an engagement ceremony. Some prefer to have lavish engagements with hundreds of guests, but Yomi and Grace went the other way and had a little party for their closest friends and family members. Of course, there was also a breathtaking engagement ring that looked so good that Grace simply couldn’t say no! 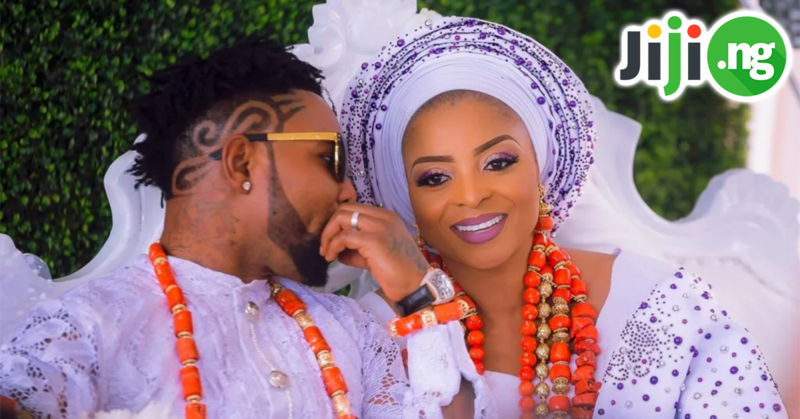 It’s safe to say that the couple had a truly fairytale wedding that will inspire thousands of Nigerian couples to have the ceremony of their dreams. The event consisted of two parts: first there was a short and intimate wedding in a cosy garden, and then the wedding party moved to Glitz Event Centre, Lekki, where everyone had a blast. A large part of the event was planned by Yomi’s brother, the beloved Nigerian comedian AY Makun. He made sure his brother and his new sister-in-law had the most unforgettable wedding anyone could think of. There was a moment when the groom and his crew danced to the famous One Corner song in the style of Yoruba demons, and the guests couldn’t keep from laughing out loud at their hilarious signature dance. As you’d expect, there was a lot of singing and dancing at Yomi and Grace’s wedding. The party was graced by some of the best musical talents Nigeria has, who offered their renditions of popular romantic songs and the latest international music hits. And who could forget the afterparty, which lasted until late night and left a lasting impression on everyone involved. If there is one thing that is clear when you see the Yomi Casual wedding pics, it’s the fact that no Nigerian celebrity could miss the biggest wedding of 2017. The guests of the event included Toyin Abraham, Brayan Okwara, Ubi Franklin, Emmanuel Ikubese, Kate Henshaw, Ik Ogbonna, and Melvin Oduah, to name a few. Let’s admire the stunning fashion of the wedding guests! Grace spared no expense on styling her bridesmaids for the night: these elegant one-shoulder gowns in a trendy magenta colour are an example of how bridesmaid fashion is done. The guys didn’t disappoint with their style either – the whole Yomi’s crew sported handsome three-piece ivory suits with matching burgundy ties as a colourful accent. The happy family of the bride and the groom went for the traditional wedding outfit style – the ladies wore classic electric blue beaded Aso Ebi with coral beads as a prominent part of their looks. The men sported blue and grey Agbada outfits with beautiful embroidery and coral beads, which, together with the gorgeous gowns worn by ladies, created a truly breathtaking wedding ensemble. Many guests decided not to follow the theme and designed their own looks for the Yomi Casual wedding – like this stylish peach-coloured gown with a white gele and a playful bow on the back. The founder of NHN couture was understandably one of the best dressed guest at the event: her pink Aso Ebi with a peplum and floral detailing is an especially elegant choice of an outfit. The next wedding guest look from Yomi and Grace’s wedding will definitely inspire thousands of fashionistas, as everything about this look, from the feathers to the metallic bow, works great.